I feel very lucky to have friends with friends with amazing gardens. Last weekend I stayed with John and Lorna Howell, owners of Lukesland in Devon. 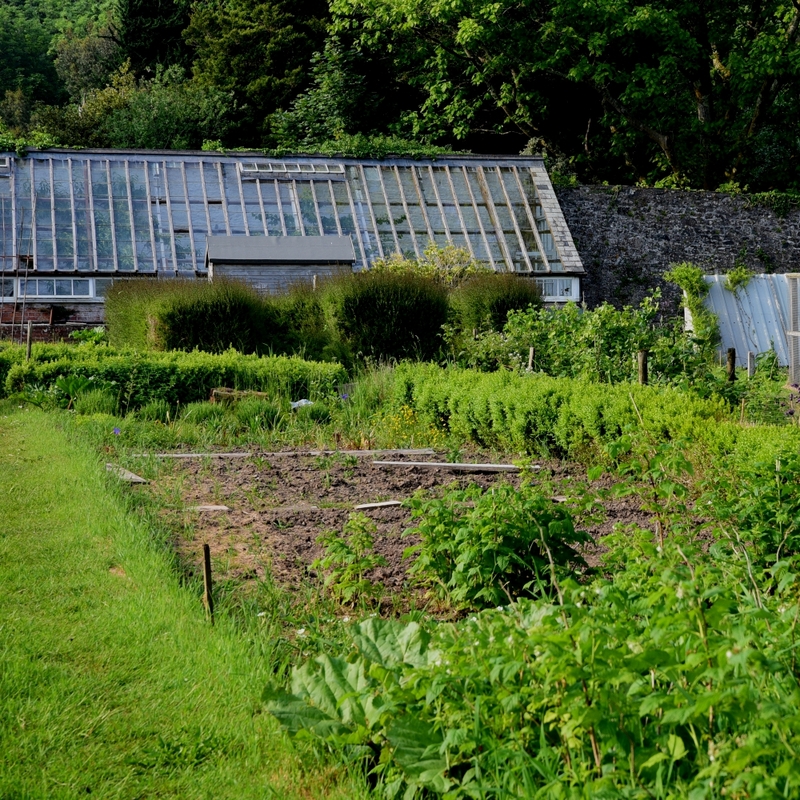 The garden covers around 26 acres of woodland, streams, arboreta (there's more than one), rhododendrons, azaleas, wild flowers and a kitchen garden. 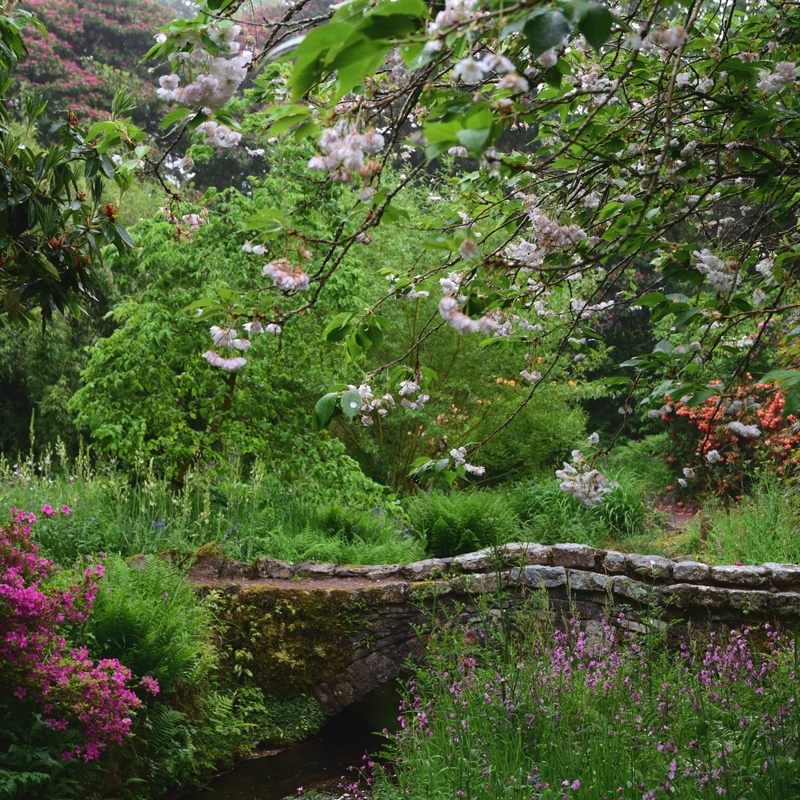 The garden was started by the Matthews family in the 1860s, followed by the McAndrews in the 1870s, but has been tended to and developed by the Howell family since the 1930s. The garden has become known for some of its "Champion" trees, which means they are the oldest, tallest or with the largest girth in the county or country. The high level of rainfall, acidic soil and mildish climate makes it ideal for Camellias, Rhododendrons, Azaleas and Magnolias. .I was told the Rhododendrons were past their best by the end of May but they still looked pretty good to me. 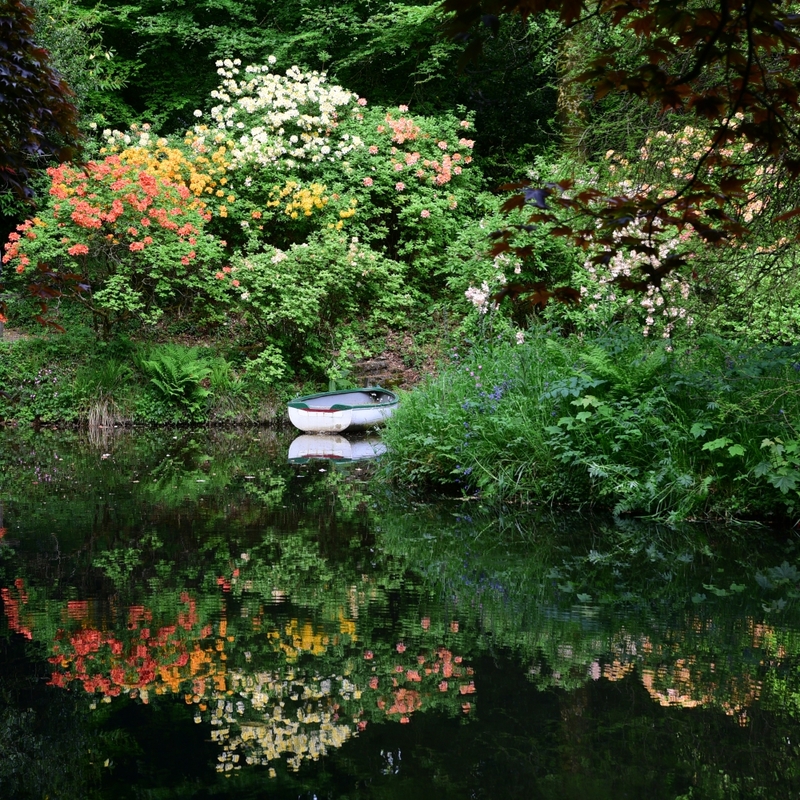 However, this is prime Azalea flowering time, the reflections in some of the ponds were particularly stunning, better than the Isabella Plantation I think. For me the streams and ponds are the highlight of the gardens. Addicombe Brook tumbles through the garden over cascades and Dartmoor granite rocks. It's not without hazard though as floods in recent years have washed away paths, bridges and sculpture and silted up ponds. They've been rebuilt and restored and you'd never know there'd been such devastation. The wild flowers are also particularly attractive. 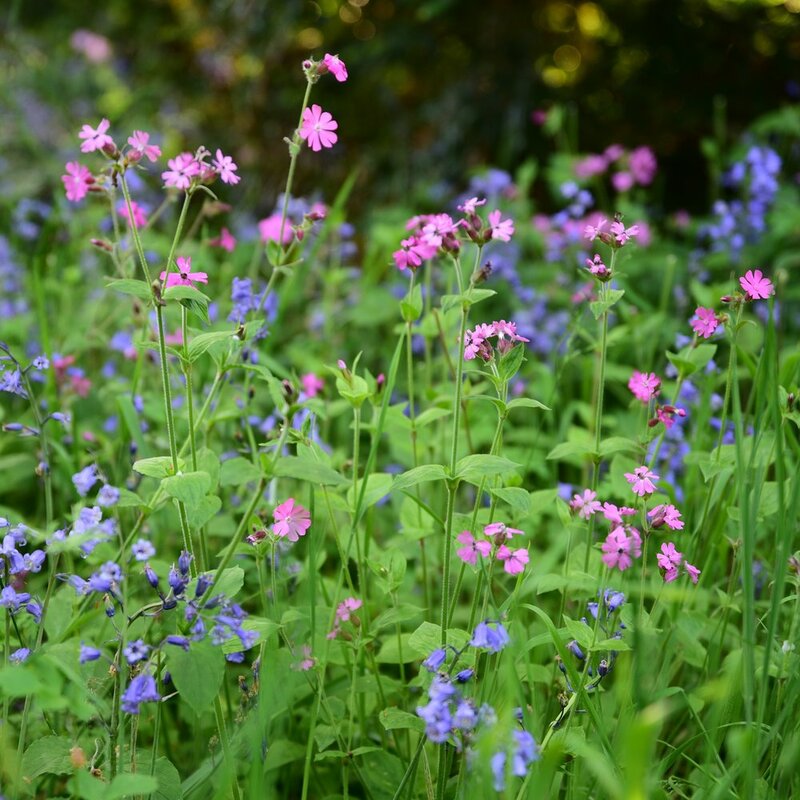 There are bluebells in the Beech wood and in the Pinetum where they flower in the open with grasses, and along the stream with Red Campion. 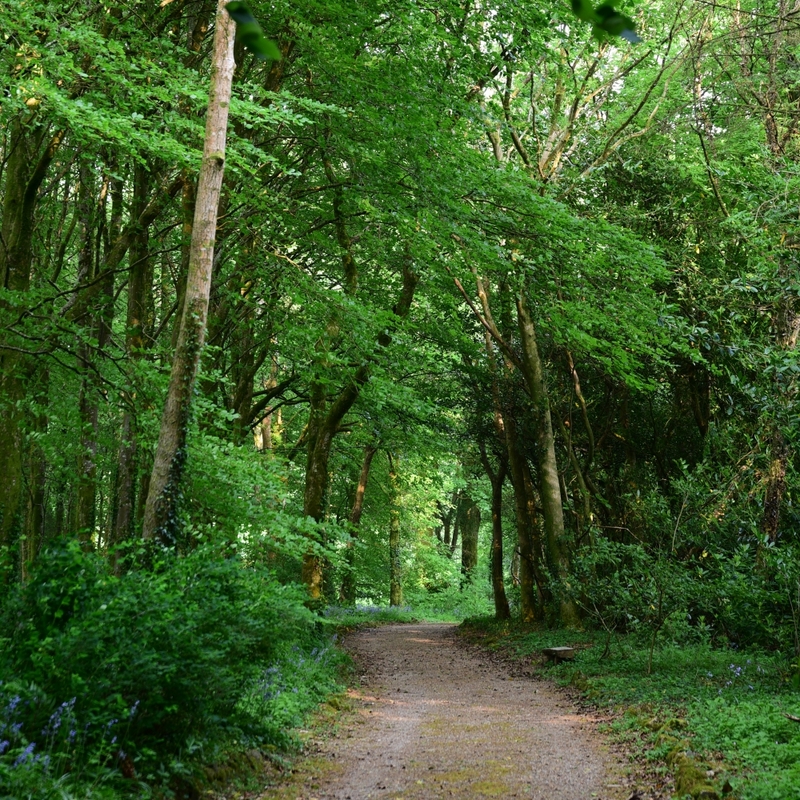 The dampness means plants like Iris sibirica, asiatic Primulas, Gunnera and ferns thrive here, as well as some of the trees like the giant coastal Redwoods from the USA. Lukesland is particularly well known for its three large Davidia involucrata, also known as the Hankerchief Tree, which were flowering during my visit. Unfortunately none of my photos could do them justice but if you're in the area in late spring seeing them is worth a visit on their own. Although the tea room was busy (and yes I can recommend all the cakes as I tried most of them whilst serving the tea...) the gardens are so large it's easy to find a quiet spot to yourself. The gardens are only open in the spring and then again in the autumn as the foliage of the Rhododendrons, Azaleas and Acers is stunning I'm told. This garden is maintained by Lorna and John, John's mother Rosemary (who runs the guided tours) and three very part-time gardeners. Hats off to them all. Many thanks to John and Lorna and Rosemary and Desna (and Rob..).